spirit – Under the influence! Animal totems are symbols that represent an animal and an animal spirit. They help remind us of the special qualities and attributes an animal possesses that help it live in harmony with the natural world. In some cultures, particularly those of North America, there is a belief that an animal spirit will find a person when they are ready to evolve spiritually, or when they have a task that must be accomplished. In other cultures it is believed that doors to spiritual development can be opened by studying an animal’s behavior and special attributes. In both cases there is the need to bring these special attributes and qualities into practice in our own lives to further spiritual development. This does not mean literally taking up hunting, burrowing or other animal activities. It means looking at how they live in their environment and how they harmonize with nature – living as ‘One’ with nature. Many human cultures around the world use animal totems and ideas and practices vary from region to region. A totem can be a sculpture or carving, or any type of pictorial representation such as a drawing or painting, or an object that can meaningfully represent an animal and spirit. Totems are tangible, visual reminders of the qualities of the animal and the animal spirit which we cannot touch or see, but we which are trying to get in union with. The belief is that by getting in touch with the qualities we grow and evolve in knowledge and spiritually. Even making a determined attempt to do this will bring significant rewards helping us to know ourselves better. An animal that can help us with this is the cougar. 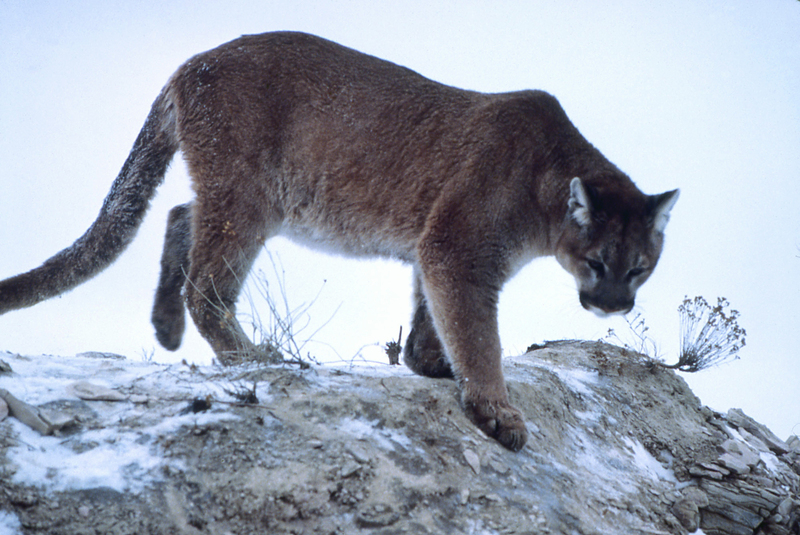 The cougar has many different names given them by humans, including puma catamount, mountain lion, panther, screamer, and many more. None of them matter to this animal as it is a beast that knows who it is. It knows its own name. The Cougar totem reminds us that in this life we are on a constant voyage of self discovery and that as life progresses we discover more of ourselves. In doing so come to know ourselves and we come to know who we are. Other people will think of us as they will but it is what we think of ourselves that matters. Being a solitary animal the cougar must know its own power and trust in its instincts to survive. It is a powerful and stealthy hunter often stalking its prey with great stealth and deliberation, or lying in wait for the right moment to pounce. In the chase it can reach great speed but tires quickly. The Cougar totem teaches us that we must learn to know our own power and learn to trust our instincts. If we can do this we can choose suitable goals that are attainable and satisfying. When we know this we know what goals are within our power to attain and we can focus on them stalking them with deliberation. The Cougar totem reminds of the power of focus, determination and patience for there are times when we must actively seek out our dreams and other times when we must be prepared to lie in wait and seize the moment. Learning these things is not always easy and it is often by trial and error that the skills and knowledge are attained. Humans are not naturally solitary like the cougar and we may feel alone in our trials. 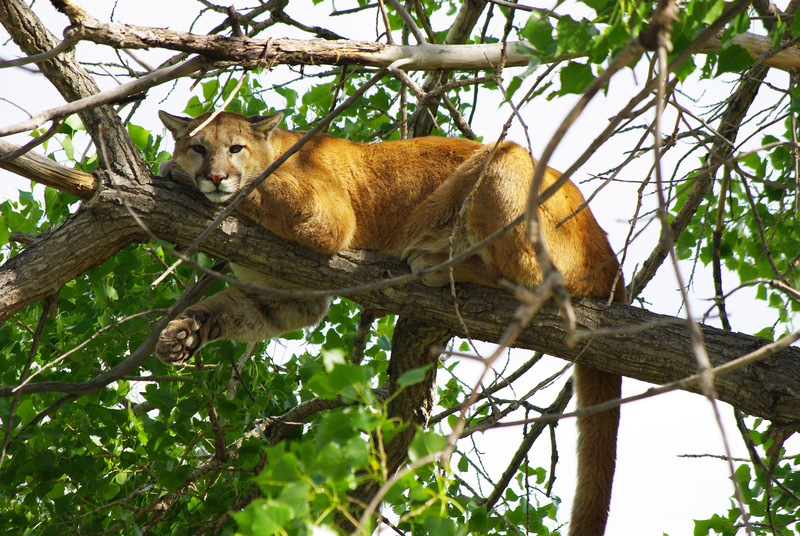 The Cougar totem reminds us that through trial and error and our own effort we can evolve our own spirituality and abilities to higher levels. Although we may live in human society receiving help from others it is up to us alone how we use our qualities and talents. It is our responsibility alone to find the path to our own spiritual growth. The Cougar preys on deer and actively seeks them out. Deer are associated with gentleness. From the deer the cougar gets nourishment and from the nourishment it gets gentleness and strength. When rearing cubs the mothers ferociously protect their cubs in their determination to nurture them to independence. We are reminded that the powerful need to learn, determination, and the patience to nurture as sometimes it takes great strength to be gentle which is not the same as weakness. There are times when gentleness is more powerful than force and the Cougar totem teaches when to know this and when to use it. Although we are all destined to evolve spiritually there are many people who fight against this in themselves and resent others from doing so. They feel threatened because what is happening they do not understand. They will mock and sabotage and deliberately hurt others who they see growing spiritually. But the cougar has determination, patience and focus which give it power. Though it is a solitary creature and its path is a lonely one the cougar naturally knows and trusts itself overcoming opposition and obstacles and instinctively finds the way.